Building links is at the heart of value creation in fashion. The clothes we wear link us to the identities we seek to assume. They invoke associations with distant places or desirable life styles. Sometimes such linkages are more than superficial associations created in the service of revenue generation. Fashion finds itself at a critical point. It has lost its exclusivity, no longer dictates trends, and seems to lose all relevance in view of the radical democratization of clothing styles. Familiar parameters between fast fashion and high fashion got lost. The speed of the economic dynamics harmed the appreciation of innovative ideas. Quality, innovative potential, originality and handwriting of the design are hardly noticed. Between high fashion and the mass market, fast fashion and slow fashion, trendy upcycling and the vast second hand market: Which links are we missing when we discuss the value of fashion? Is the dazzling multitude of value propositions just a way of concealing the division of labour between those who benefit and those who pay the price? Or is a renaissance of craft afoot – a reorientation of design principles in fashion towards durable materials and intrinsic quality? Which responsibilty should designers take? What role should fashion and their designers play in society in the future? In short: Are there values in fashion value? 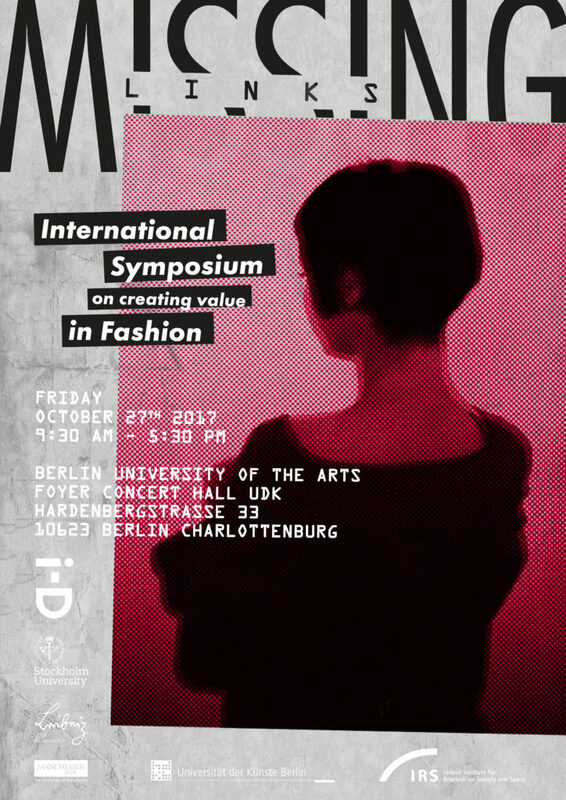 The conference links up with UdK’s annual fashion show featuring the creations of fashion design graduates on the night of 26 October 2017, offering participants a first-hand encounter with the cutting edge of current fashion design thinking. An exhibition showing a selection of UdK design projects reflecting on values in fashion is accessible on the conference venue.